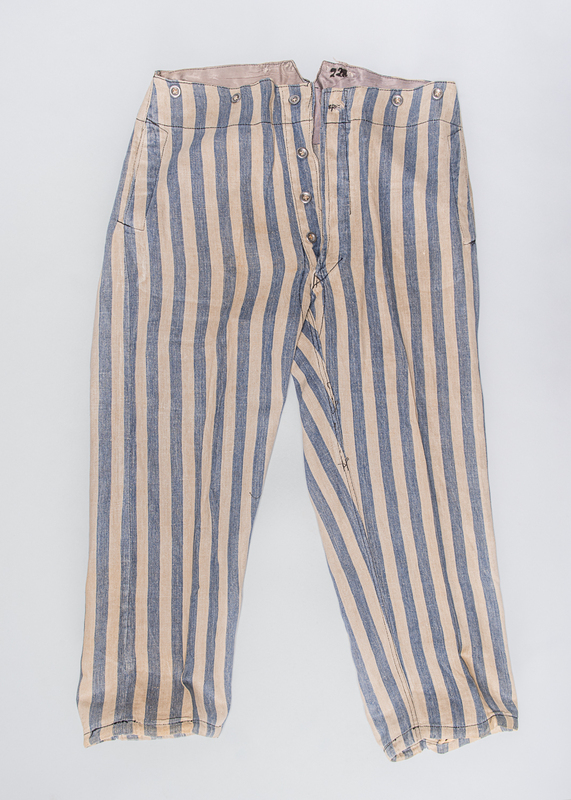 This uniform, easily identifiable by its blue and white vertical stripes, belonged to Louis Miller, a former prisoner of the Auschwitz-Birkenau concentration camp. 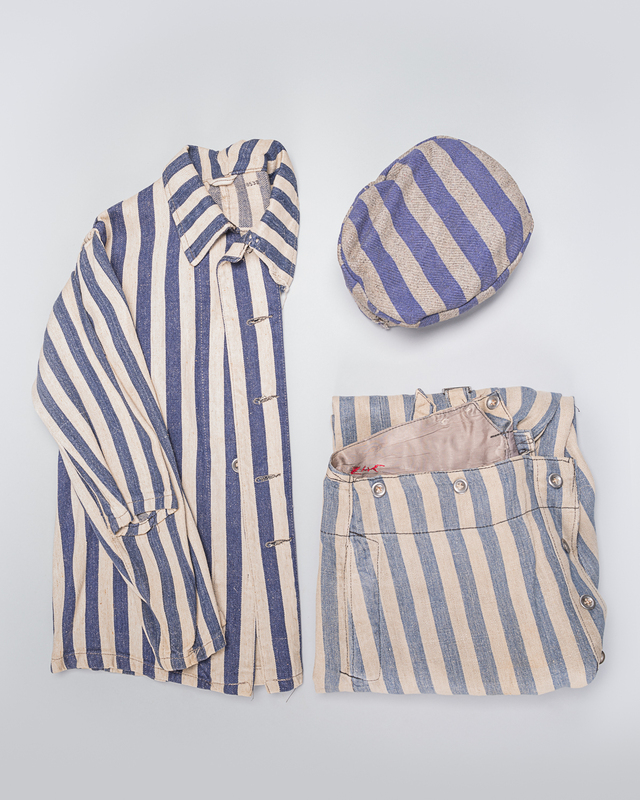 Upon arrival in the camps, women and men were forced to undress and their personal belongings were taken away. 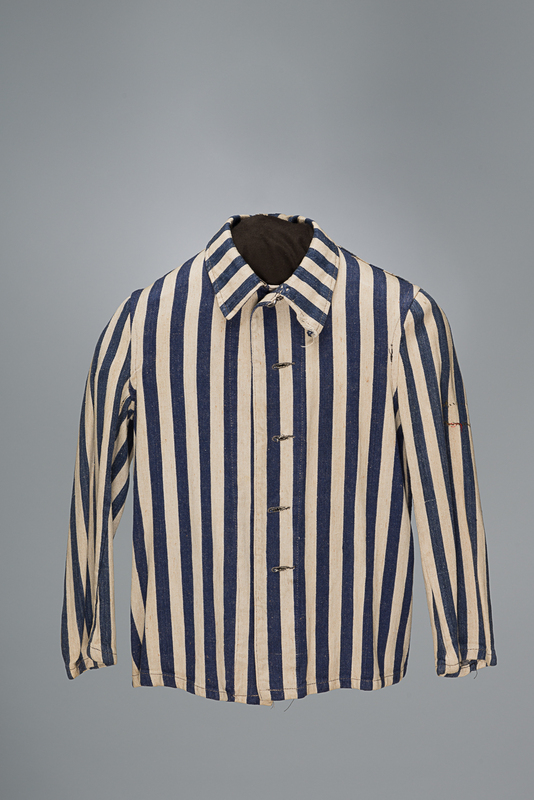 Prisoners selected for forced labour received a uniform like this one. 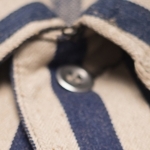 To complete their dehumanisation, prisoners’ names were replaced by a number sewn on their uniforms or tattooed on their bodies. 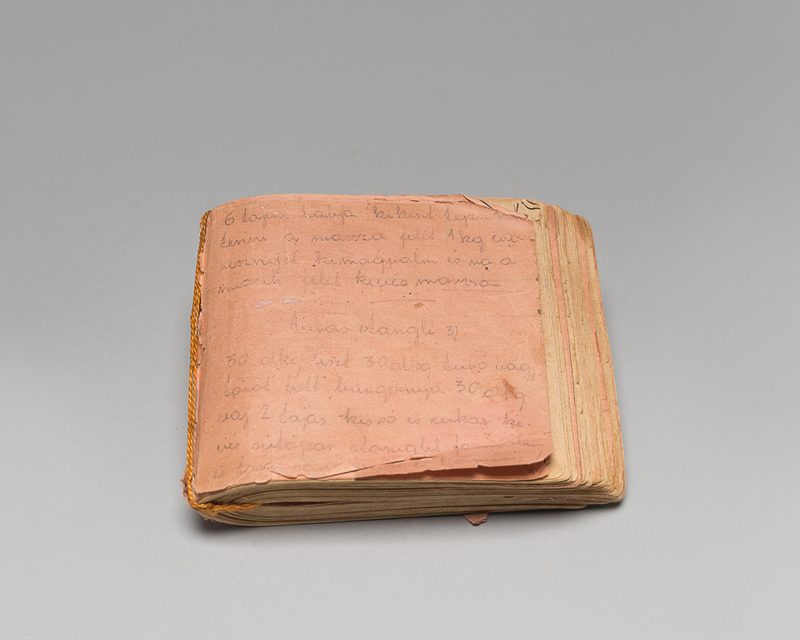 In May 1944, Louis Miller, his father, and three brothers Arthur, Gabriel, and Ernest were arrested in Romania and deported to Auschwitz. Louis was 19 years old and was selected for forced labour, because of his experience in mechanics. 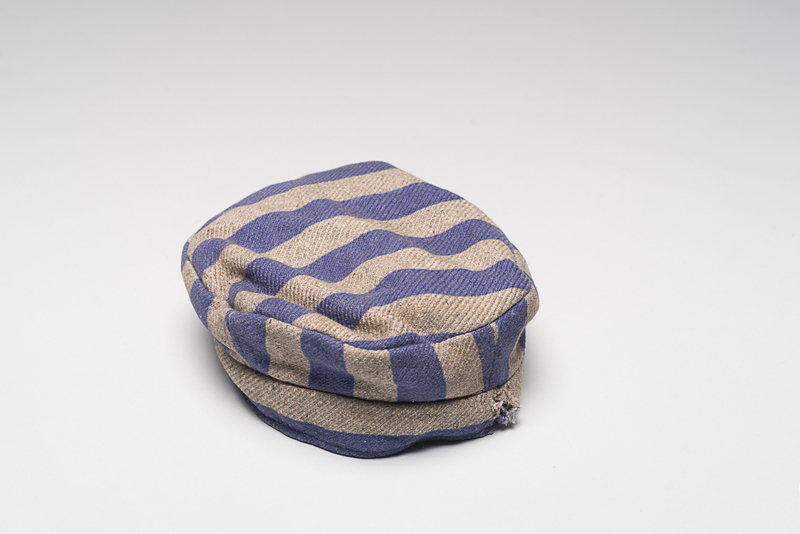 In January 1945, Louis was forced on a death march from Auschwitz to the Buchenwald camp in Germany. The march lasted for three months and Louis had only this uniform to protect him from the cold winter weather. Louis’ younger brother died during the march, but Louis survived the Holocaust. 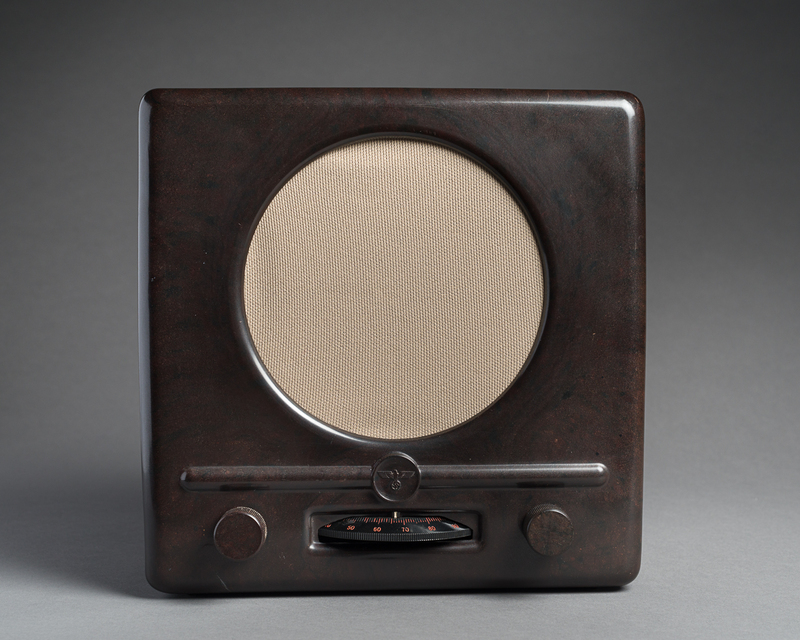 After the war, he went to study in Paris and immigrated to Canada in 1948. This uniform was the only object he kept after liberation. Louis died in Montreal in 2009. 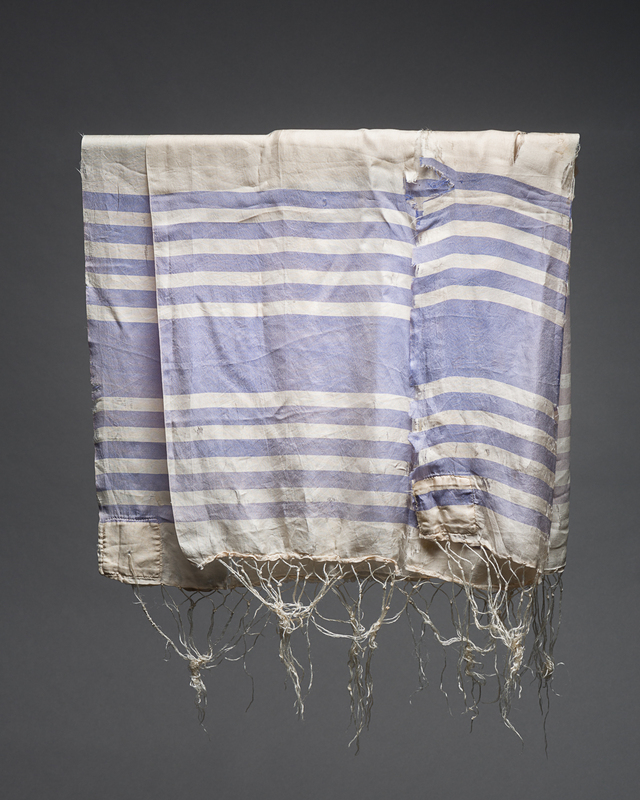 His wife Cecile Miller donated the uniform to the Montreal Holocaust Museum in 2013 in memory of her husband. 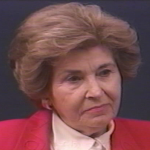 Rose Svarc describes the arrival of her transport in Auschwitz. 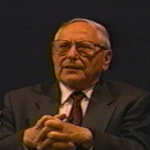 Ted Bolgar describes his arrival in Auschwitz and working in the former Warsaw ghetto. 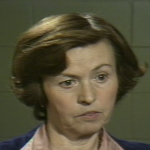 Klara Forrai recalls she spent one month completely naked in the Auschwitz. 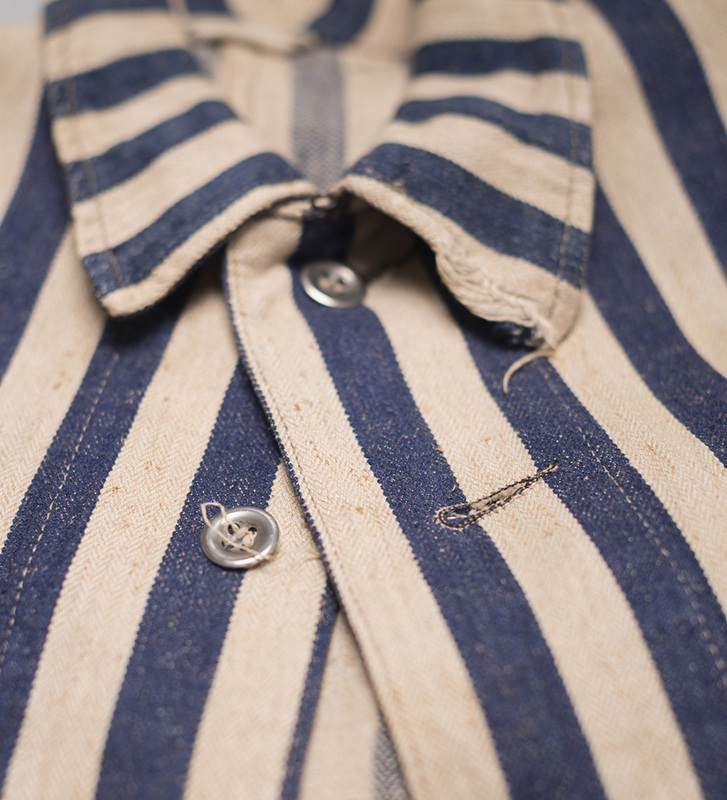 Visit the Montreal Holocaust Museum with our app for Apple or Android tablets. Find more tips on how to teach the Holocaust to 11 to 17 year-old students.